FIU Captain and Public Information Officer Delrish Moss is back in Miami after spending two years as the police chief in Ferguson, Missouri. Moss spent decades as both a spokesperson and eventually a captain in Miami’s police department. The horrific attack at a gay nightclub in Orlando, Fla., has captured the nation's attention, but the great majority of homicides are not due to mass shootings. And in the last year or so, the murder rate has jumped in America's big cities. "We are in the midst of a very abrupt, precipitous and large crime increase," says Richard Rosenfeld, a respected criminologist at the University of Missouri-St. Louis. He is the author of a study released Wednesday by the Justice Department examining reasons for the increase. Miami Maj. Delrish Moss is set to become the top cop in an American town that's become synonymous with racial tension between black youth and police officers. Officials in Ferguson, Missouri announced Thursday that Miami Police Maj. Delrish Moss will be its new police chief. The move puts a black officer in charge of a mostly white department that serves a town where African-Americans make up two-thirds of the residents. 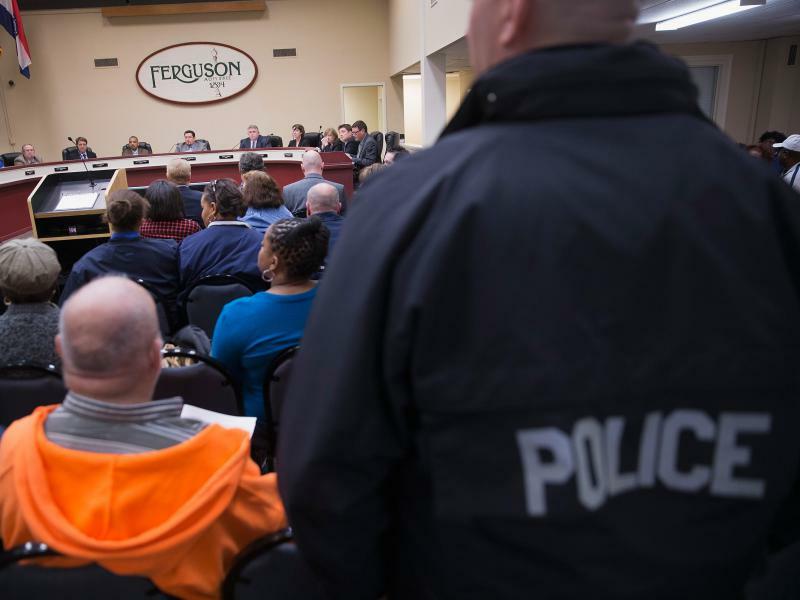 Violent racial struggles erupted in Ferguson two years ago after the police shooting death of unarmed black teenager Michael Brown. In the wake of the Dec. 20 shooting deaths of two of New York's Finest, Miami's police union is calling for an end to violence against law enforcement officers. A crowd of police officers and their families and friends gathered outside Bayside Marketplace yesterday to remember Rafael Ramos and Wenjian Liu. The two New York City officers were killed by a gunman who investigators say was angered by recent police-involved deaths of unarmed black men in Ferguson, Missouri and Staten Island. Until this past weekend South Florida had been relatively quiet amid a large, nationwide protest movement in response to several killings by police officers. That changed Friday, when around 400 protesters shut down Interstate-195 in Miami. It was rush hour during Art Basel weekend. There was a smaller protest in Fort Lauderdale -- around 100 people -- on Saturday and another Sunday in Miami maxing out at 200 people. Protests in Miami and Fort Lauderdale shared the spotlight with Art Basel this weekend. During Friday rush hour, around 400 people gathered in Midtown Miami, eventually moving to completely block Interstate-195. Two men were arrested Tuesday night as more than 100 demonstrators occupied the street in front of Miami's criminal courthouse. It was one of several protests that have erupted across the country over the refusal of a Missouri grand jury to indict police officer Darren Wilson who killed teenager Michael Brown in the town of Ferguson this summer. South Floridians gathered in front of the Torch of Friendship memorial in downtown Miami on Sunday to show support for the residents of Ferguson, Mo., against the killing of an unarmed black teen. The rally was held in honor of Michael Brown, the 18-year-old who was shot by officer Darren Wilson on Aug. 9. The killing has sparked protests throughout the county. Funeral services for Brown start Monday. In the wake of national outrage over alleged police misconduct in Ferguson, Mo., Miami-Dade Mayor Carlos Gimenez on Thursday vowed to make “body cameras” mandatory for all county patrol officers. His proposed budget calls for purchasing 500 of the mini cameras, enough to outfit about half of Miami-Dade’s patrol force. Made by Taser, they’re small enough to snap onto a pair of glasses or a hat in order to record everything an officer sees. “I want a camera on every police officer,” Gimenez told the audience at a budget town hall meeting in Little Haiti. Miami’s Fraternal Order of Police union is putting its full support behind Officer Darren Wilson of the Ferguson Police Department.